Answer 3 quick questions from Parties That Cook, and you're entered to win BIG! The best part is that the gift grows with the number of submissions - so spread the word! 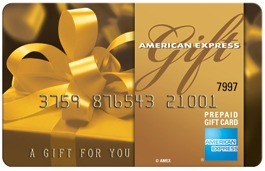 With 50+ respondents, you will be entered to win a $75 American Express Gift Card! If we hit 250 participants, the prize doubles to a $150 American Express Gift Card! If we hit 500 submissions, the prize again doubles to a $300 American Express Gift Card! Remember to provide your full name so we can find you on Facebook when you win! You must "Like" the Parties That Cook Facebook page in order to win, so click the "Like" button on the Facebook widget to the left to make sure you qualify! The contest runs from 11am on March 8, 2011 to 5pm on March 18, 2011. Must have 50 survey entries for this giveaway to be valid.